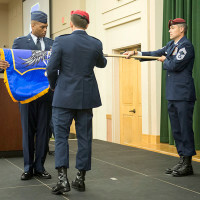 For the first time in its history, the Air Force on June 2 activated a unit solely dedicated to train the service’s ground component at Joint Base San Antonio-Lackland, Texas. The U.S. Army awarded Raytheon a $31.8 million contract to produce and deliver 464 Excalibur Ib extended-range precision projectiles. 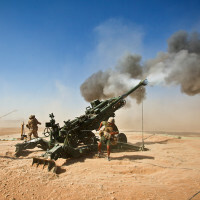 In full-rate production since mid-2014, Excalibur Ib has revolutionized cannon artillery, making it possible to engage targets precisely at long ranges. 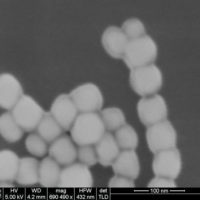 In a new cooperative agreement with the Army Research Laboratory, Lockheed Martin material scientists will work with industry and Army scientists who design microbes to edit single-cell organism DNA. 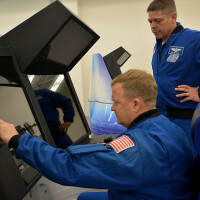 Two of the four NASA astronauts training to fly Boeing’s CST-100 Starliner spacecraft recently tried some of the systems that will prepare them for flights to the International Space Station. 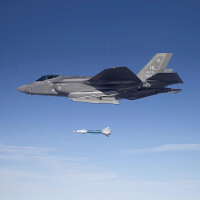 Airmen from the 388th and 419th fighter wings at Hill Air Force Base, Utah, dropped laser-guided bombs at the Utah Test and Training Range the week of Feb. 25, marking the first time an F-35 Lightning II combat unit has deployed weapons from the F-35A. 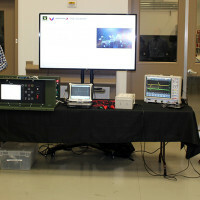 Army command post stakeholders recently attended a demonstration here that featured emerging expeditionary mission command technologies with one primary benchmark -- mobility. 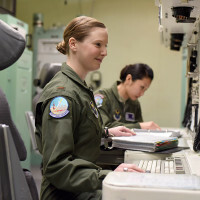 Ninety female missileers made Air Force history March 22 as the first all-female missile alert crews to serve on alert at three intercontinental ballistic missile wings simultaneously. 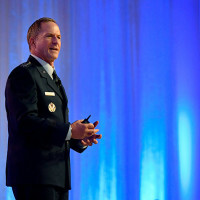 Air Force Chief of Staff Gen. David L. Goldfein provided an update to his three focus areas during his remarks at the Air Force Association Air, Space and Cyber Conference in National Harbor, Md., Sept. 19, 2017. 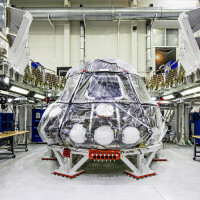 Engineers at Lockheed Martin and NASA breathed life into the next Orion crew module when they powered up the spacecraft for the first time at the Kennedy Space Center, Fla.